The media have been busy lately with news of fraudulent personal injury claims notably with the president of the High Court, Judge Raymond Groake striking out two separate cases in recent days as he did not believe the claimants’ version of events. The cases included one concerning purported car crash injuries where the medical reports of two of the claimants were nearly identical. However this case below was perhaps the most ludicrous. A Ms Estee Lamidi took a claim for personal injury after a road traffic accident. Liability for the accident was admitted but the insurers for the other driver stated that Ms Lamidi was not injured at all or at least not to the extent that she said she was. As part of the defence of the claim, a medical appointment was arranged for her with the insurer’s doctor to determine the exact nature of her injury. When Ms Lamidi met the doctor, she complained of all sorts of crippling ailments which affected her daily life and left her effectively unable to do anything. Unbeknownst to her, a private investigator was sitting the car park outside the doctor’s practice and he filmed her jogging back to her car after the examination. When the video of her jogging was shown to the court, and having just heard Ms Lamidi complain in the witness box of being effectively crippled by her injury, Judge Groarke struck out her case. Whilst clearly Ms Lamidi’s accident was not part of a greater scam and appears to be more opportunist in nature, there are many scams out there happening now. The ‘crash for cash’ type scam appears to be one of the most common whereby somebody will purposely try and get rear-ended in order for them to pursue an action for damages against the other driver. This has become so common in some countries that it is now the rule rather than the exception that people have dashboard cameras in order to capture the moment of the accident and to expose the ridiculous and usually dangerous driving of the would-be claimant. Another version of this is the ‘flash for cash’ type accident whereby a motorist with the right of way will flash its headlights to another motorist indicating to the latter innocent driver to keep going or to come out onto the road, only for the ‘flasher’ to plough into them and thereby pursue an action for their own personal injury. Another version is the complete set-up accident where two groups of people will crash into each other. Invariably the car at fault will either be uninsured or will have an untraced driver who leaves the scene and then the ‘injured parties’ all take a claim arising out of the accident. 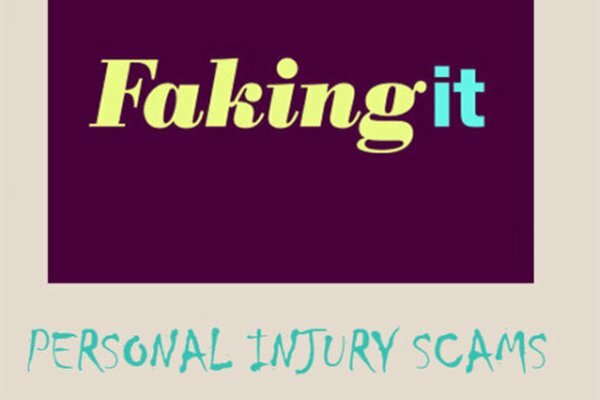 The main problem with these types of accidents is that the insurance industry want you to believe that all claims for personal injury arising out of car accident (or indeed any other type of accident) are inheritably wrong or part of a scam and that a great many people who make claims are fraudsters. The truth is far from this and it is a only a fraction of the number of accidents that are set-ups as described above. The truth is however that one fraudulent claim in a hundred makes far better headlines in the media than the ninety-nine other claims where people have been genuinely injured through no fault of their own and are deserving of compensation.